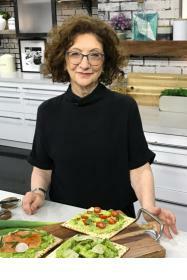 When Bonnie Stern started her cooking school in 1973 she wanted people to have more fun in the kitchen, eat more healthfully and nourish their families and friends with delicious food. That goal has never changed. Bonnie is still sharing her love of cooking in everything she does. 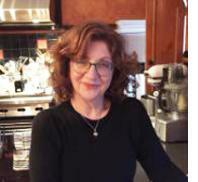 Bonnie is an award winning author of twelve best-selling cookbooks and wrote a weekly newspaper column for almost 30 years, first for the Toronto Star and then for the National Post. She offers a wide variety of corporate services, cooking workshops and unique book clubs where authors actually attend and dinner is included. Bonnie is the recipient of the 2007 Premier’s Award. As promised this month I have more restaurant recommendations for Israel and also some for Toronto. I have noticed in Tel Aviv and Toronto either you can't make reservations at all or you have to make reservations farther and farther in advance. It always pays to go on a cancellation list and to call again the morning of just in case something comes up. And it sometimes pays to call the restaurant directly if the online reservation system says there isn't any room. This month most of the recipes below (scroll to the end) are great for Passover and for Easter. Please note that during Passover many dietary restrictions apply that vary according to the level of observance and family traditions. Usually, using fresh unprocessed ingredients can simplify things but check with your local rabbinical authority if you have questions pertaining to Passover foods. Also note that in the past few years ingredients that are commonly used during Passover in Israel and by Sephardi Jews everywhere (eg chickpeas and tahini) are now being allowed here too by some reform and conservative rabbis. Last month we introduced two new book club events. The May 6th book club with Anthony De Sa is being held at Porta Nova and we are all looking forward to seeing Anthony again as he is a wonderful speaker and the book is remarkable. 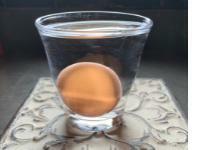 If you want to check if your eggs are old or fresh put one in a glass of water. If it sinks it’s fresh and if it doesn’t it’s old. If you want to check if an egg is raw or hard boiled, spin it on the counter. If it spins slowly, it’s raw and if it twirls like it will never stop (it does stop eventually), it’s hard boiled. Bonnie's Book Club is a labour of love. Nothing pleases Bonnie more than to have the opportunity to bring readers and writers together in a truly unique way that offers the rare opportunity to meet some of Canada's leading authors (and some from farther away), discuss their work and enjoy a delicious meal inspired by the book. Drawing on her degree in English and her passion for food and cooking, Bonnie Stern invites you to a literary feast you won't soon forget - Oprah's book club never tasted this good! Small print: All registrations must be paid in full when registering. Please check your schedule carefully before registering. Cancellations can be accepted only up to 14 days before event date, a $50 charge (plus HST) applies to cover the administration fee and cost of the book. However, at any time you may send someone in your place for no additional charge. It is the attendee’s responsibility to mark their calendar with the date, time and location of the event. This May, Bonnie is pleased to welcome back Book Club favourite Anthony De Sa as he launches his eagerly awaited new novel Children of the Moon. Anthony De Sa’s debut collection of short stories, Barnacle Love, established him as one of the most exciting new voices on the Canadian literary landscape. A remarkable collection of linked stories that explore the quiet triumphs and heartbreaking disappointments of a family, Barnacle Love received tremendous reviews and was shortlisted for the prestigious Scotia bank Giller Prize. The Vancouver Sun called Barnacle Love “A book of exceptional balance. Tender and raw, morbid and surprisingly gentle, it is the palpable sadness of the Rebelo family that will stay with readers after the closing pages." De Sa followed the great success of Barnacle Love with the national bestseller Kicking The Sky, a hauntingly beautiful novel that explores the profound impact that an infamous incident in Toronto history has upon a community trying to come to terms with its loss. “An impressive achievement…Kicking the Sky bridges its polarized worlds, staying true to the humanity in each. It’s one of the best things fiction can do,’ said the National Post. 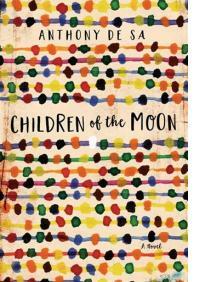 In May, Anthony De Sa returns with Children of the Moon, a raw and compelling novel of love, war and the heartbreaking effects of memory. "You must listen to my words. You must promise to tell my story the way I have shared it with you." Tanzania, 1956. A Maasai woman gives birth to a child with albinism. The child is seen as a curse upon her tribe, and so begins Po's tumultuous story. As Po navigates the world, she must claim her life in the face of violence and ostracism. Further south, in Portuguese-controlled Mozambique, Ezequiel struggles for acceptance too. Adopted by missionaries, he is not recognized by his Portuguese father's community, or by his Makonde mother's tribe. When civil war erupts, he must choose who to fight for and who to leave behind. Po and Zeca come together in a time of momentous change. Love connects these two outsiders, forcing them to confront the shattering impact of colonialism and war. Children of the Moon is a stunning and unforgettable exploration of the love of two people at once bound and separated by forces beyond their control. Amy Jones earned rave reviews for her bestselling debut novel, We’re All in This Together. 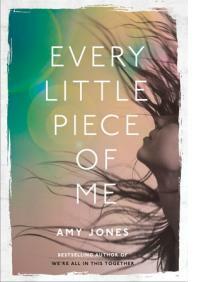 In June Bonnie is pleased to welcome Amy to the book club as she launches her new novel Every Little Piece of Me. Ava Hart is the most reluctant cast member of a reality TV show based on her big city family's (mostly staged) efforts to run a B&B in small-town Nova Scotia. Every family has its problems, but Ava has grown up seeing her family's every up and down broadcast on national television, after the show becomes an unexpected success for reasons that will take a heavy toll on the Harts. Mags Kovach is the charismatic lead singer of a struggling Halifax rock band hoping to be the Next Big Thing. For years she's managed to contain her demons and navigate the uglier aspects of being a woman in the music world, but after a devastating loss, she turns her anger on the only person she can: herself. As their private tragedies continue to set social media and tabloid headlines on fire, their every move subjected to an endless stream of public commentary, it will be their unexpected friendship that will save them. They will push back against the roles they've been forced to play, and take back control of something they thought they'd lost forever - the right to their own stories. Portuguese with a modern twist has been hiding in plain sight on Geary Avenue. So delicious. Corporate culinary events are a great way to host a corporate function. 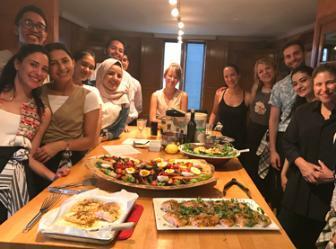 Great food always brings co-workers and staff together. People have fun, learn a lot and take home delicious memories. Events are customized to meet your location, schedule, objectives and food preferences. Bonnie works with nutritionists, food producers, restaurants, etiquette experts and authors to create exciting programs. All events will be planned and hosted by Bonnie personally. Bonnie's latest cookbook with her favourite menus, recipes, photos and stories. Over 170 delicious recipes for every occasion - holidays, barbecues, fast suppers and fabulous feasts - and Bonnie makes sure you can make fantastic meals and still enjoy the food and fun with everyone else. You'll want to use this book every day of the week. Winner of the 2004 International Association of Culinary Professionals Award. A beautiful cookbook filled with Bonnie’s personal favourites - dishes that reflect the way we are cooking today. This wonderful compendium is a must for every kitchen featuring over 300 favourite recipes from the bestselling Simply HeartSmart Cooking, More HeartSmart Cooking and HeartSmart Cooking for Family and Friends, as well as 75 brand-new recipes to add to your HeartSmart repertoire. Many of the classic recipes have been fully updated to incorporate current food trends and new nutritional information. Published by Random House of Canada, 2006, 480 pages, paperback. A very special collection of over 150 mouth-watering recipes including soups, spreads, salads, hors d'oeuvre, pastas and much more. Complete with presentation, entertaining, menu planning tips and over 50 detailed illustrations. Over 120 recipes for decadent cakes, pies and pastries, scrumptious cookies, creamy mousses and ice creams – A collection of recipes from a master that stand the test, and tastes, of time. Also provided are elegant decorating tips, helpful information on equipment and ingredients, and black-and-white illustrations throughout demonstrating basic techniques that will make these recipes absolutely no-fail. Featuring nine entertaining menus (over 200 recipes) with complete work plans, presentation ideas and wine suggestions, as well as complete nutritional analysis for each recipe, plus the Canadian Diabetes Association’s Food Choice Values. Colour photos and black and white instructional illustrations throughout. Here is a list of Bonnie Stern classics that are out of print. Limited used copies are sometimes available on line. The George Brown College Centre for Hospitality and Culinary Arts is pleased to present Ruth Reichl for an In Conversation discussion moderated by Ceri Marsh. 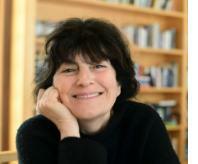 Ruth Reichl spearheaded a revolution in the way we think about food. In her new book Save Me the Plums (Penguin Random House), for the first time, she chronicles the personal and professional risks she took during her tenure as the editor-in-chief of Gourmet magazine in this insightful, inspiring and very readable new memoir. Inspired by night markets from around the world, The Stop’s Night Market brings Torontonians together to celebrate community and the power of food. 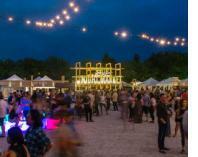 This popular fundraiser features all-you-can-eat dishes from 65+ of Toronto’s best chefs, accompanied by 20+ local drink vendors and an eclectic mix of local musicians, DJ’s, and performers. All proceeds support The Stop’s vital programming. 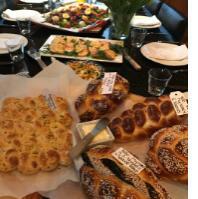 Friday night dinners are an important tradition in Jewish culture - to say goodbye to the work week and welcome Shabbat. Even those who are not observant often get together on Friday night to be with their families and friends. It is a great tradition for everyone – Jewish or not and you can learn all about it in this workshop. But is the traditional dinner, like the one I grew up with, a thing of the past? My family still gets together every Friday night but things have changed. My mom used to make the same thing every week but now my family wants to try new things as well as old favourites so we mix it up. Favourites now include some traditional Ashkenazi Jewish dishes (like brisket) and some Israeli dishes too (like Moroccan fish tagine). My mom used to serve a big meal with appetizers, soup, main course and dessert and we would sit at the table for hours. Now my kids sometimes want to go out after dinner so we start dinner earlier and have less courses. We used to love my mom's heaping plates for everyone but now everyone would rather take what and how much themselves. Are there other issues you would like addressed in a workshop like this one? Let me know. Friday night dinner is a tradition worth keeping and if I have to modernize it a bit, so be it. Are you with me? Please Note: As with all our classes and workshops, right now we are only offering this to groups (groups of ten with one person organizing the group). For more information please send your name, email address and phone number with subject line: Bonnie’s Friday Night Dinner 2.0 to bonnie@bonniestern.com and let us know if you are interested in bringing a group or would like to join an open class. Challah is the Jewish celebration bread that is enjoyed at every Friday night dinner except during Passover. However, now challah has risen way above Jewish cooking and is a favourite for French toast, grilled cheese sandwiches, bread pudding and so much more. In this workshop Bonnie will show you everything you need to know to make the most delicious and beautiful braided challah. Everyone will have a chance to make challah dough, knead the dough and get to know the perfect texture at each stage. You will learn to make braids with 3, 4 and 6 strands and also round braided breads. You will learn about ingredients and all the tricks and tips you need for success. This very popular workshop includes coffee and cinnamon buns, snacks, a delicious lunch or dinner, printed recipes, all ingredients and lots of fun. And best of all - you'll take home your own challah on Bonnie's favourite quarter sheet pan to bake for your family and friends. For more information please send your name, email address and phone number with subject line: Bonnie’s Challah Workshop to bonnie@bonniestern.com and let us know if you are interested in bringing a group or would like to join an open class. Israeli food is so 'hot' now it is what everyone wants to eat. Come and learn the ingredients and flavours that make it so popular. Israel is an immigrant country and Israeli cuisine is a delicious mash-up of food and flavours from the Middle East, the Mediterranean and North Africa. 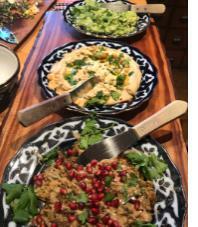 Workshop includes appetizers on arrival, lunch or dinner, recipes and lots of fun. 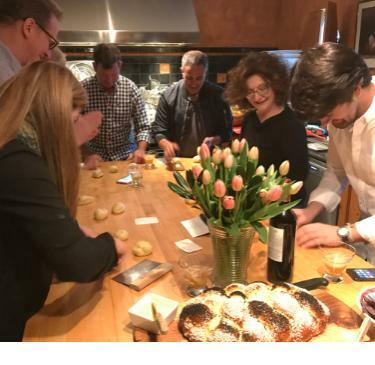 Please send your name, email address and phone number with subject line: Israeli Family Dinner to bonnie@bonniestern.com and let us know if you are interested in bringing a group or would like to join an open class. We had a wonderful 9th culinary trip to Israel in February 2019. If you would like to be on our email list for our 10th anniversary tour and other future trips please send your name, email and phone number, with subject line: Trips, to bonnie@bonniestern.com (if you are not already on the list). We are hoping to send out a sample itinerary, prices and registration information soon. This popular place lives up to its name. We were pleasantly surprised by the delicious food that was moderately priced in this fancy-ish looking place. +972 3 778 7533 Specializes in vegetarian foods plus local fish. Very friendly service. +972 3 566 3018 This has been an iconic Tel Aviv cafe for the last twenty years and is still crazy busy. It’s a perfect place to meet friends for lunch or dinner. We loved the salads, schnitzel and lemon meringue dessert. +972 3 728 9213 Last year we had very creative cocktails at Bellboy – one of the most popular cocktail bars in Tel Aviv. This year their brunch was rated the best in Tel Aviv and reservations must be made weeks in advance. The brunch was also very creative bordering on kitsche. Go with a group and have fun! +972 3 741 0000 The beautifully restored Drisco Hotel was just written up in The New York Times as part of an article on Jaffa as ‘an unexpected luxury hotspot’. We went to George and John, the restaurant in the hotel, just after it opened about two weeks before this article. The food was very good and the service was friendly and lovely. When we arrived at 7pm the dining room wasn’t that busy but when we left it was full and there were no seats at the bar. Since then I can only imagine you'll have to make reservations long in advance. +972 3 900 3560 This new idea of a restaurant is located in the lobby of the Start-Up Nation Central HQ and is very spacious and beautiful. The plan is that every six months an up-and-coming chef is given control of the restaurant. We were there for the first period and it was very good. The vibe is quite different than your typical Israeli restaurant where diners are kind of crammed together and it's hard to hear yourself think. Here there’s lots of space and everyone at the same table can actually hear each other easily – what a treat. It’s a delicious experiment that is worthwhile supporting. +972 3 516 9234 I had two absolutely delicious meals at HaBasta this year. The fresh hyssop salad really stood out but everything else was great too. Friendly, helpful service and local ingredients cooked with respect make this small restaurant located in the Carmel Market (bring your GPS) a place you will want to return to often. +972 2 543 4144 This lovely, modern and bright Italian restaurant featuring dairy and fish choices was delicious on all fronts. The restaurant employs at-risk youths and be sure to make time to tour the museum (art gallery) when you are there. 647 352 3337 Is it strange that the first place I went to when I returned from 5 weeks in Israel was Anthony Rose’s new restaurant Fet Zun. I just can’t resist that Israeli vibe and Middle Eastern flavours. The house made pita and flat breads (especially the za’atar pita) are amazing and the dips and spreads are delicious too. It’s fun and lively, great cocktails and there’s soft serve with tahini floss – how great is that? 416 804 6066 It’s like a secret. A delicious secret. Brothers is kind of located in the Bay Street subway station just north of Bloor on the west side of Bay. Sounds impossible but there it is. And it’s tiny – easy to miss. The food is so delicious you will forget that the subway is underneath you very soon after you start eating. And if this isn’t enough to talk about and keep you entertained – the food is amazing, the wines are stellar and the service is down-to-earth and lovely. The menu changes every day and although I have only been a few times – everything is always delicious. Portuguese with a modern twist has been hiding in plain sight on Geary Avenue. We loved the cod cakes, grilled calamari, the Porto specialty – francesinha, a layered sandwich with meat and cheese baked and grilled, and then served with a special sauce and the most delicious fries (we ate all the fries); piri piri chicken, chocolate mousse, deep-fried ice cream (as good as it sounds) and flan – all good. This Passover you can change your chicken soup up a bit with these Persian style matzah balls that have become very popular in Israel lately. They are made with ground chicken and chickpeas and taste wonderful in chicken soup. My friend Gil Hovav introduced me to them originally and I often serve them as an exciting (and a bit heavier) matzah ball. I have seen them made with ground toasted chickpeas (the snack food) and with chickpea flour (sometimes called besan flour in Indian shops and garbonzo flour in Italian shops). I have also seen them made with crushed, cooked chickpeas but haven't tried that yet. I have seen them HUGE and medium sized - that's up to you. 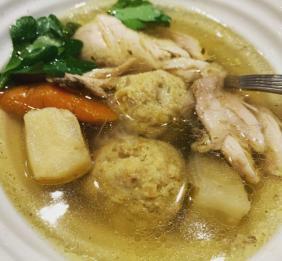 You can cook them in your chicken soup or in water separately and then add to the soup to prevent the soup from getting cloudy (as is the case with matzah balls too). Passover Notes: If you are not eating chickpeas at Passover use matzah meal instead of the chickpea flour. 1. In a mixing bowl, with your hand(s) or wooden spoon, combine chicken with onions, garlic, egg, cardamom, turmeric, salt and pepper. Mix well and add oil and herbs. 2. Add chickpea flour. With wet hands, shape mixture into 25 to 30 medium sized balls (or less bigger ones or more smaller ones). As they are shaped place them on a sheet pan lined with plastic wrap and refrigerate until ready to cook. 3. To cook, bring water or soup to a boil in a large pot. Add 1 tbsp kosher salt and gently add gondi balls. When water returns to the boil, cover pot and cook 45 to 50 minutes. These can be made ahead and reheated in the soup or hot water. This is perfect for Passover or Easter and also for the coming (eventually) barbecue season. 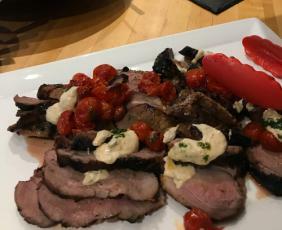 Butterflied leg of lamb is a great cut because there is something for everyone. Some parts are thicker and rare and other parts thinner and more well done. This is an Israeli flavoured rub for a butterflied leg of lamb that is just delicious. You can cook it completely on the grill but I usually brown it and transfer to the oven especially if I am entertaining indoors. As in this photo I sometimes top this with sauteed or roasted cherry tomatoes. Notes: Ingredients can be purchased at any Middle Eastern shop or many specialty markets. I usually shop at Ararat in Toronto but there are many. Harissa: Harissa is a spicy Moroccan hot sauce.Each brand is different and can be very different levels of heat so especially in the sauce add a little at first until you get used to the heat of the brand you are using. Preserved lemons: Preserved lemons are lemons that are layered with salt and lemon juice (and sometimes whole spices) and preserved at least a month before using. You can buy preserved lemons (see above note) already prepared or many people make them themselves. Hawaiij: There are many spice blends in the Middle East and hawaiij is a popular one from Yemen. There is a sweet one for coffee and this one for soup and meat. You can buy the blend or make your own - the best way is to roast the whole spices in a dry pan over gently heat, cool and grind. But in a pinch combine 2 tbsp each ground black pepper, cumin and coriander with 1 tsp each ground cardamom and turmeric. Passover Note: Use hot sauce of your choice if you cannot use harissa. 1. Prepare marinade by combining harissa with preserved lemons, honey , garlic, hawaiij, olive oil and salt. Rub into both sides of lamb. Cover loosely. Place on a sheet pan and refrigerate an hour or up to overnight. 2. Remove from refrigerator about one hour before grilling. Place lamb on a hot barbecue about 4 to 5 minutes per side or until well-browned. Transfer to a sheet pan and finish cooking about 10 to 15 minutes in a preheated 400F oven until an instant read thermometer inserted into the thickest part reads 130F for rare. Let rest 5 to 10 minutes before carving. If You are finishing this on the barbecue, turn off one side and transfer the meat there. Cook about ten minutes longer until a meat thermometer registers as above. 3. For sauce combine mayonnise with harissa, preserved lemons and garlic. Serve with lamb. Kugel is an Ashkenazi (Eastern European Jewish) 'pudding' that is usually made with potatoes or noodles. 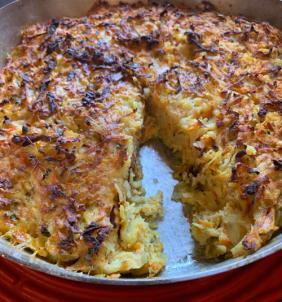 Potato kugel is the one served at Passover because wheat is not allowed. This kugel, with flecks of multi-coloured root vegetables and herbs looks as good as it tastes. I adapted the idea of using lots of different root vegetables from my friend and colleague, Adeena Sussman, who did this with latkes last Hanukkah. Use mostly baking potatoes and then add the root vegetables you like - or just use more baking potatoes. 1. Beat eggs together in a large bowl. Grate potatoes and onions in a food processor fitted with the larger grating disc or by hand on the size grater you would use for Cheddar not parmesan - style. Wring out potatoes and onions in a clean tea towel, in batches (really squeeze out moisture), and combine with eggs. Grate remaining vegetables (no need to wring out) and add to egg/onion/potato mixture along with the grated/minced garlic. 2. In a small bowl combine potato starch with salt, baking powder and pepper. Sprinkle over the vegetables and toss together. Mix in herbs. Serve this as a vegetable side dish, vegetarian or vegan main course or appetizer. It is delicious hot or at room temperature. It is loosely based on a dish I had in Tel Aviv at an amazing vegan restaurant called Bana. 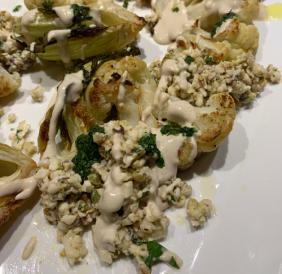 It combines tender roasted cauliflower and tahini sauce with crispy cauliflower tabbouleh. It is a fun blend of textures and tastes. Of course, you can just make one or the other. If making just the tabbuleh you will need to add more tahini sauce and z'houg to taste. The chopped cauliflower in the tabbuleh can be used raw, or if you prefer, blanch it in a large pot of boiling water for one minute, drain and rinse with cold water. Passover Note: If you do not use tahini (sesame seed paste) at Passover you can substitute mayonnaise. Omit water and reduce lemon juice to 1 tbsp. Adjust seasoning to taste. 1. Trim off any bruised or broken leaves of cauliflower but keep the rest intact. Trim the core end. Cut the cauliflower through the core into four large quarters. Reserve one quarter for the tabbouleh. Cut the 3 remaining quarters into halves or thirds depending on how big they are. The pieces of cauliflower cut through the core should stay together. Place these pieces into a large bowl, drizzle with olive oil and sprinkle with salt, thyme and paprika. Toss together gently. Arrange cauliflower, cut side down, on a sheet pan lined with parchment paper. Roast in a preheated 425F oven for 20 minutes. Turn pieces over and roast another 10 minutes or until browned. 2. Make tahini sauce in a bowl with a whisk or in the food processor or blender. Whisk tahini with lemon juice, salt, ice water, harissa, cumin and garlic. If sauce is too thick, thin with additional ice water and re-season. This will keep a few days in the refrigerator. 3. To make z'houg combine jalapeno, salt, garlic and cilantro in a food processor or blender and chop. Add as much olive oil as necessary to make a sauce that you can drizzle. (I usually chop everything with a knife and then drizzle in olive oil.) This will keep a few days in the refrigerator with the top covered in olive oil. 4. For the tabbouleh, discard the leaves and chop the reserved quarter cauliflower into very small pieces (to resemble the size of couscous or bulgur). You should have around 2 cups. Use raw or blanch one minute - see intro to recipe. Add about 3 tbsp tahini and 2 or 3 tbsp z'houg. Season with salt and pepper to taste. 5. Spread the tabbuleh over a serving platter and arrange the cauliflower wedges on top. Drizzle with tahini sauce. I have been making cakes similar to this since I first tasted the incredible one at Ottolenghi in London. Be careful adding rosewater or orange blossom water as different brands have different strengths. Add a little and taste - less is usually more. 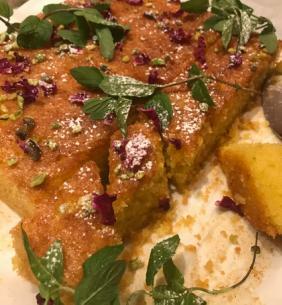 The toppings of pistachios, rose petals, fresh flowers and pomegranate seeds give the cake a gorgeous Middle Eastern look. I like to serve this with unsweetened yogurt or yogurt cheese - I use Organic Meadow 2% (or whole milk yogurt) and when I have time - drain in a strainer lined with paper towels or a yogurt strainer to make it thicker. Passover Note: If you do not use cornmeal (polenta) at Passover make this with matzah cake meal and adjust or omit any other ingredients. 1. Preheat oven to 350F. Spray a 9" square pan(or round) with non-stick cooking spray and line with parchment paper. 2. In a large bowl combine polenta, almond flour, baking powder and salt. Whisk to combine well. 3. In another bowl beat eggs with an electric hand mixer until frothy. Beating at high speed, slowly drizzle olive oil into eggs until smooth and emulsified. Add sugar slowly and keep beating until incorporated. Add lemon peel. Stir in dry ingredients until blended. Batter will be a little thin. 4. Pour batter into prepared pan and smooth the top. Bake 40 to 45 minutes or longer until a cake tester comes out dry or an instant read meat thermometer registers 185F. If top is browning too much cover loosely with foil. 5. Cool cake in the pan on a cooling rack about 1/2 hour. 6. To make the syrup bring lemon juice and sugar to a boil in a medium saucepan. Simmer about 2 minutes or until sugar is dissolved. Cool slightly. Stir rosewater or orange blossom water if using. With a skewer make some holes in the cake and brush syrup over the cake until it is all used up. When cake has cooled completely remove from pan. 7. For the glaze, stir icing sugar and lemon juice together, adding more lemon juice if necessary so that glaze can be drizzled over cake. Whether iced or not, sprinkle cake with pistachios, rose petals, pomegranate seeds and fresh flowers. 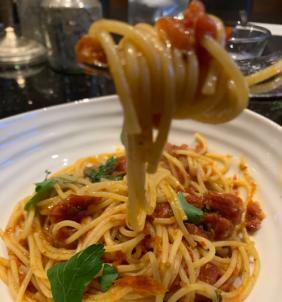 This spaghetti isn't especially for Easter and definitely not for Passover but so many people wanted the recipe I am including it this month. We went up to my brother-in-law's maple sugar shack to learn how to make maple syrup first-hand and help him (see intro to newsletter). We have wanted to go every year but the thing is - you have to go when the sap is running so you can't really plan ahead. One of Wayne's friends', who helps every year, Shelly Cohen, was making dinner when we arrived on a Friday night. He said it was his version of my recipe which was my version of a Giuliano Bugialli recipe. (That's how recipes get around.) I used to make it all the time but only cooked it about 30 minutes. It was very juicy, fresh tasting and delicious even when tomatoes aren't in season. But Shelly did it differently. He usually cooks the tomatoes for an hour but maybe because we were late getting there, and because he doubled the recipe, it was in the oven at least 1 1/2 hours or longer and all the tomato juices evaporated, leaving the tomatoes melted (but still chunky) in the olive oil. The concentrated flavour was outstanding. When we added the cooked pasta to the tomatoes, I added some of the pasta cooking liquid to moisten the sauce and make it almost 'creamy'. Shelly and I were a great team - I learned to cook down the tomatoes more and Shelly said he loved my trick, which is actually an old Italian trick, of adding pasta cooking liquid to the sauce. This recipe makes a single batch - if you double it, it will probably take longer to roast the tomatoes - there will be more liquid to evaporate - so plan ahead. 2. Bring a large pot of water to a boil. 3. When tomatoes are ready, add about 1 tbsp salt to the water for the pasta and add the spaghetti. Stir it up. Cook spaghetti until almost ready (the best way is to taste it). 4.Bring pan of tomatoes to the stove. Reheat on medium. When pasta is ready but still a bit chewy, lift the pasta out of the water into the tomatoes. Do not worry if some of the cooking water gets into the tomatoes. Stir everything together and add about 1/2 cup pasta cooking liquid. Cook and stir until pasta and tomatoes are kind of creamy together from the starchy cooking liquid - add more liquid if necessary ( I used a little over a cup, adding a little at a time as I cooked and stirred). If you like to drain the pasta be sure to remove about 2 cups of the cooking liquid first. Water doesn't work the same way. 5. Season to taste and add parsley. © Copyright 2019, Bonnie Stern Cooking Schools Ltd. Please Note: Bonnie Stern does not sell, trade or share her email list.